Smt Toolika Pankaj, Chief General Manager has been appointed as Principal at NBSC Lucknow since 01July 2018. She is a post graduate in History with specialisation in International Relations. 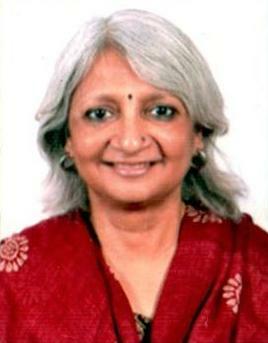 She joined NABARD in 1984 and has since served the Regional Offices of Bihar, West Bengal, Punjab, Telangana and Uttar Pradesh before assuming charge of Principal of the training institute of NABARD at Lucknow. She has the experience of handling almost all the departments of NABARD which includes business departments of Refinance, State Projects, Storage & Marketing, new Business Initiatives and promotional departments like Farm Sector Development, including climate change, Off Farm Development, micro credit, corporate planning & financial Inclusion, Institutional Development, as also the HR, Accounts, the Department of Premises & Security & NABCONS. She has also held charge of the districts of Mohali & Lucknow as District Development Officer. Shri Sushrut V. Sardesai, Chief General Manager has been appointed as Vice Principal at NBSC Lucknow since 18 April 2016. He is a graduate in science stream from Bundelkhand University. He joined NABARD in 1984. He has also done JAIIB. He has worked in various Business and Development Departments of NABARD and also as faculty member in CAB, RBI, Pune. He has wide experience in attending national and international training programmes related to agriculture and rural development. He has served in MP, AP, UP, Maharashtra and Tripura in various capacities. He has also served as Director on the Boards of Sarayu Gramin Bank and Tripura Gramin Bank.